It looks like the recent announcement to reroute of the proposed HS2 through South Yorkshire to save £1 billion (HS2 Phase 2 Route Plan to save £1 Billion) has produced mixed results for two ex mining communities in an area known as the Dearne Valley in South Yorkshire. 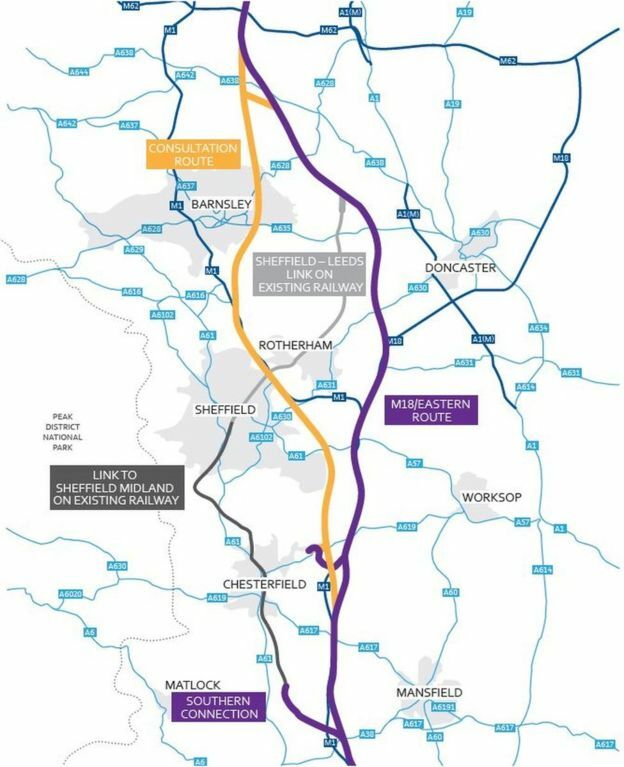 As this map from the BBC shows, the route has been moved from passing between Sheffield and Rotherham. It will now pass between Rotherham and Doncaster and use existing lines to connect to Sheffield city station. Doncaster itself is already on the East Coast Main Line and shares fast rail links to York, Edinburgh and London with it being possible to get from Doncaster station to Kings Cross nonstop in 1 hour and 30 minutes with one rail operator. So it’s unlikely to prosper as much with the new route as other South Yorkshire towns would. One ex mining town which will likely prosper is the ex mining community of Thurnscoe, which the new proposed route will run close too. A new station built here on the line would benefit the many residents who are finding it difficult to secure employment in Thurnscoe and neighbouring villages. Since Goldthorpe colliery and neighbouring Manvers Main Colliery both closed in the late 1980’s the area has not faired well and is one of many deprived ex mining communities in South Yorkshire. 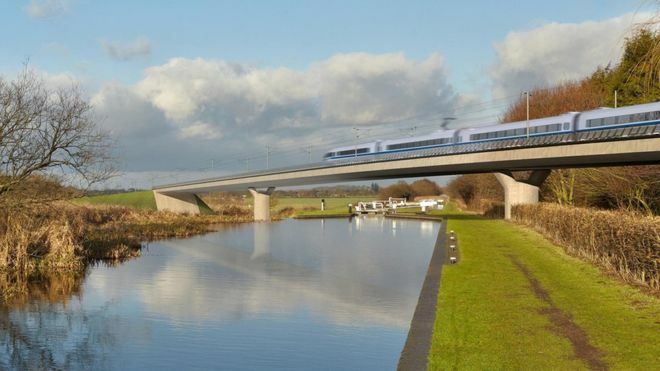 The new faster rail links to Leeds, York and Nottingham would mean the unemployed looking for work in Thurnscoe and surrounding villages could look elsewhere for work as commute times to the bigger cities would be cut dramatically. But for a neighbouring village, Mexborough, the news of the proposed HS2 route has caused serious concern. The house building firm Strata is currently building a new development in the village and the new route would go straight through this. The development isn’t even finished yet and some new homeowners have already received compulsory purchase letters. Many have taken to social media to express their anger and to post the letters they have received. Strata have invested into this ex mining community by building the new homes but it already looks like it could have been a waste of money. 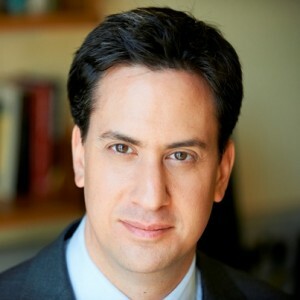 Doncaster North MP and ex Labour Leader Ed Miliband said in a recent interview on BBC Radio Sheffield “people feel they’ve had the rug pulled from under them”. These homes are in his constituency and he and homeowners are in talks with HS2 about the new route and how it will affect the community of Mexborough. In South Yorkshire there are winners and losers. There is one ex mining community rejoicing at the news and prospects at faster rail links to major cities in Yorkshire and the benefits it may bring, whilst another the rail link is destroying a community as it means many newly built homes being bulldozed for the high speed line but, this isn’t just a problem for the ex mining communities of the Dearne Valley in South Yorkshire. This is the argument up and down the proposed HS2 route across the country and, South Yorkshire’s ex mining communities are not alone in their fight against the proposed saviour of commerce which is HS2. It has come to light recently that many ex miners didn’t recover the full amount they were entitled too when they made a claim for Vibration White Finger under the government scheme. Jordans Solicitors has a dedicated department helping ex miners in communities like Mexborough and Thurnscoe recover extra money. If you were a miner and made a claim please contact our VWF department on 3303 001103 to find out more. But hurry as time is running out to make these claims. Can I Claim For Stress And Inconvenience In My Professional Negligence Claim?